"The high-pitched, rambling voice on the telephone was disguised and garbled, and warned of a slaughter of Jews. The voice spoke of a bomb loaded with shrapnel and of an imminent “blood bath.” Moments later, the caller hung up. The mid-January threat to a Jewish community center turned out to be a hoax. The warning was one of at least 100 that Jewish community centers and schools have reported since the beginning of the year, a menacing pattern that has upended daily life for people in 33 states and prompted a federal investigation that has come under increasing scrutiny from lawmakers, security specialists and Jewish leaders. 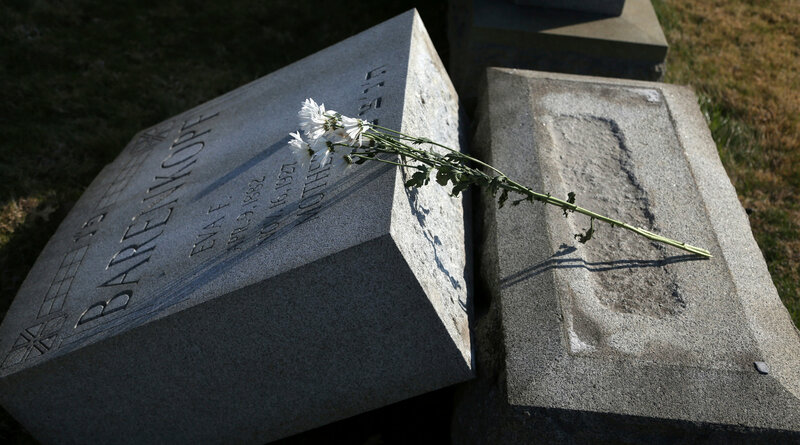 Combined with the recent vandalism at Jewish cemeteries in Missouri and Pennsylvania, the calls have stoked fears that a virulent anti-Semitism has increasingly taken hold in the early days of the Trump administration." Donald Trump is a greater enemy of people of color than ISIS. ISIS is our enemy but with his reversal of his position on voting rights for "people of color" the Donald Trump Administration is a greater enemy. The Trump administration has just declared war on people of color. Voting rights changed the South and areas in the North. It is a bedrock of our freedom. The Trump administration as chosen to become our enemy. We must fight and defeat them by any means necessary. We and our ancestors fought for these rights. We are not going to let an ignorant low class rich hustler from a trashy KKK and Nazi supporting family defeat us. Trump has engaged in racist policies all of his life. The Nixon Justice Department brought action against he and his criminal father. We must literally drive these crazy bigots from our government. Trump must be removed from the presidency. The time is now. #ManchurianPresident #ResistanceIsNotFutile The Trump administration has just declared war on people of color. Voting rights changed the South and areas in the North. It is a bedrock of our freedom. The Trump administration as chosen to become our enemy. We must fight and defeat them by any means necessary. We and our ancestors fought for these rights. We are not going to let an ignorant low class rich hustler from a trashy KKK and Nazi supporting family defeat us. Trump has engaged in racist policies all of his life. The Nixon Justice Department brought action against he and his criminal father. We must literally drive these crazy bigots from our government. Trump must be removed from the presidency. The time is now. "The first politician to tour the country by air during an election campaign, Hitler issued an endless stream of slogans to win potential supporters over. He would make Germany great again. He would give Germans work once more. He would put Germany first. He would revive the nation’s rusting industries, laid to waste by the economic depression. He would crush the alien ideologies—­socialism, liberalism, communism—­that were undermining the nation’s will to survive and destroying its core values." "The House Intelligence Committee’s investigation into Russian intervention in the U.S. election suffers from two critical flaws that handicap its work. And that’s from one of the lawmakers leading the investigation. The probe by the House Permanent Select Committee on Intelligence, as it is formally known, is already under a microscope; the Republican chairman is under fire from Democratic colleagues for downplaying Russian ties to Team Trump before all (or even most) of the evidence is in. But there’s also a structural issue: HPSCI is a flawed vehicle for investigating this topic because it is starved for cash and its Senate counterpart won’t team up with it to prevent duplication. The committee is struggling for money, and it would be even if it were not engaged in a complex investigation into Russian meddling, according to Rep. Adam Schiff, the highest-ranking Democrat on the committee. Both he and the Republican chairman, Rep. Devin Nunes, have asked for more cash for the committee to do their job. "Samsung's heir apparent, Lee Jae-yong, will be indicted on multiple charges including bribery and perjury in his native South Korea, The Wall Street Journal and Bloomberg report. The country's special prosecutor plans to indict Lee along with another four executives, a spokesperson for the body told reporters on Tuesday, in relation to bribes allegedly given to the South Korean government in exchange for favors. Lee faces formal charges of bribery, perjury, embezzlement, hiding assets abroad, and concealing profit from criminal acts. 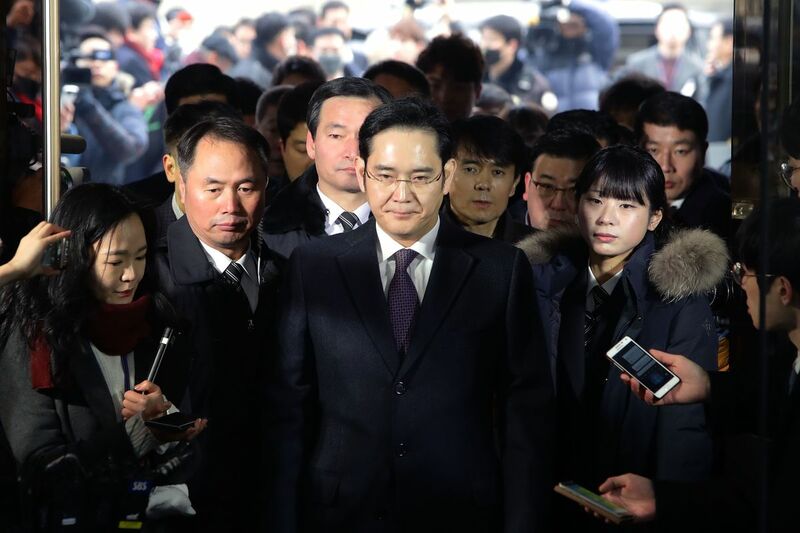 He was arrested earlier this month following claims that Samsung paid 43 billion won ($38 million) to secure government support of a huge corporate merger in 2015. Money was allegedly directed from Samsung to companies controlled by a close friend of South Korean president Park Geun-hye. President Park herself was impeached last December after a corruption scandal that gripped the country." #ManchurianPresident #ResistanceIsNotFutile Leave my (ACA) Obamacare alone! It is working. Even thoough I had cancer, pneumonia and 8 major and minor surgeries last year my premiums were cut in half this year and I have met my deductible in February. Obamacare is worked. A tax credit like the one supported by my terrible former Congressman Tom Price, would not help me at all. My premiums would be unaffordable. "Beginning last April, and picking up in the weeks following the November election, dozens of detainees at an Immigration and Customs Enforcement facility in rural Georgia went on hunger strike in protest of their detention. The private prison corporation that runs the facility, CoreCivic — formerly Corrections Corporation of America — responded swiftly to the expanding demonstration: as immigrant detainees refused to eat, CoreCivic staff began immediately locking them in solitary confinement for their participation in the non-violent protest. According to ICE detainment logs obtained by The Verge through a Freedom of Information Act request, more than two dozen detainees were put in solitary confinement for hunger striking — some simply for declaring they would refuse to eat, even if they hadn’t yet skipped a meal. 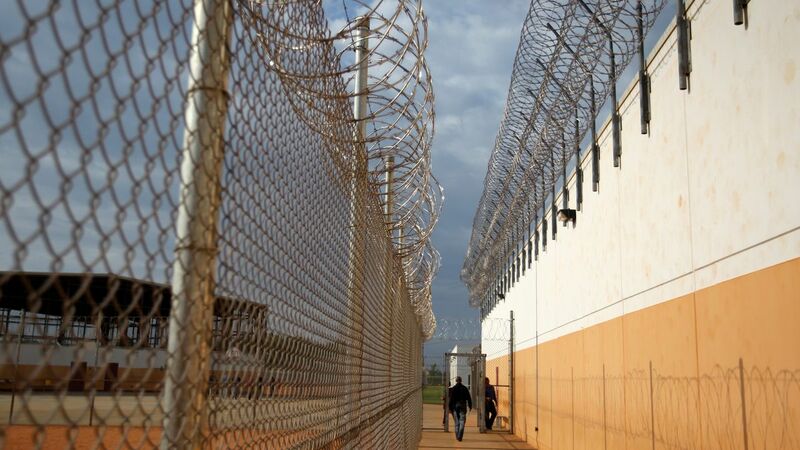 The logs also show that CoreCivic may have attempted to gather information on hunger strike organizers through cultivating detainee informants, who were later locked in solitary confinement themselves for protection." A Georgia man and woman have been sentenced to a combined 35 years after terrorizing a black child’s birthday party with Confederate flags, racial slurs and threats. Jose Ismael Torres and Kayla Rae Norton were convicted earlier this month under a street gang terrorism law for the 2015 harassment in Douglassville, outside Atlanta, and cried in court on Monday. Video footage from the party, little more than a month after Dylann Roof’s Charleston church massacre, shows a parade of trucks roaring by with Confederate battle flags. "It’s widely known that the Trump administration has overturned Obama-era protections for transgender students. It’s less well known that the way it did so, emphasizing states’ rights, was a gigantic tactical mistake that is going to blow up in their faces. That, too, is exactly right. Like it or not, the whole point of federal legislation on civil rights is to take primacy over states’ rights. That, unlike the question of transgender equality, is in the statutory history of Title IX, and it’s absurd to argue “states’ rights” against a law that understands states’ rights quite clearly, and deliberately takes precedence over them...."
"LOUISVILLE, Ky. — The U.S. Customs and Border Protection confirmed Saturday that it held Muhammad Ali Jr., the son of the late legendary boxer, for questioning in a Florida airport earlier this month, but said Ali wasn't singled out because he's a Muslim. Ali Jr., 44, and his mother, Khalilah Camacho-Ali, the second wife of Muhammad Ali, were pulled aside for questioning at the Fort Lauderdale-Hollywood International Airport on Feb. 7 while returning from a speaking engagement in Jamaica, Chris Mancini, a Florida lawyer and friend of the Ali family, told The Courier-Journal on Friday. Mancini said the pair were detained because of their Arabic-sounding names, and Ali Jr. was repeatedly asked, "Where did you get your name from?" and "Are you Muslim?" Customs spokesman Daniel Hetlage declined to provide details of the incident, citing policies that protect travelers' privacy, but he wrote in an email that the agency does not discriminate on the basis of religion, race, ethnicity or sexual orientation. "We treat all travelers with respect and sensitivity," he said. "Integrity is our cornerstone. We are guided by the highest ethical and moral principles." Reached by phone, Hetlage said it's not uncommon for customs and border protection officers to pull travelers aside after initial passport inspection for a secondary screening, which can consist of additional questions and verification of a traveler's identity. What is asked in these interviews varies depending on the situation, he said, but "we have no interest in questioning anyone for two hours about their religion." Questions about religion can and do sometimes come up, he said, but it isn't something officers — who process more than 1.2 million international travelers daily — routinely ask about. "With the number of Muslims flying in and out internationally every day, the math doesn't even support it," Hetlage said. Ali Jr., who was born in Philadelphia and holds a U.S. passport, told customs officers that he is Muslim, said Mancini, who added that the questions asked of Ali Jr. are indicative of profiling. He also said he and the Ali family are considering filing a federal lawsuit following the incident." Outrageous, unAmerican and unconstitutional. This is the reason Trumps religious ban is nothing but nascent fascism. "The White House made a messy attempt on Sunday to control public perceptions of a widening scandal over alleged contacts between aides to Donald Trump and Russian intelligence officials during the 2016 election, alleging that the FBI had dismissed reports of such links. The scandal has shown little sign of coming under control, with a Republican congressman calling for an independent inquiry, multiple congressional committees pursuing investigations and Trump escalating a war with the media in an apparent attempt at distraction. 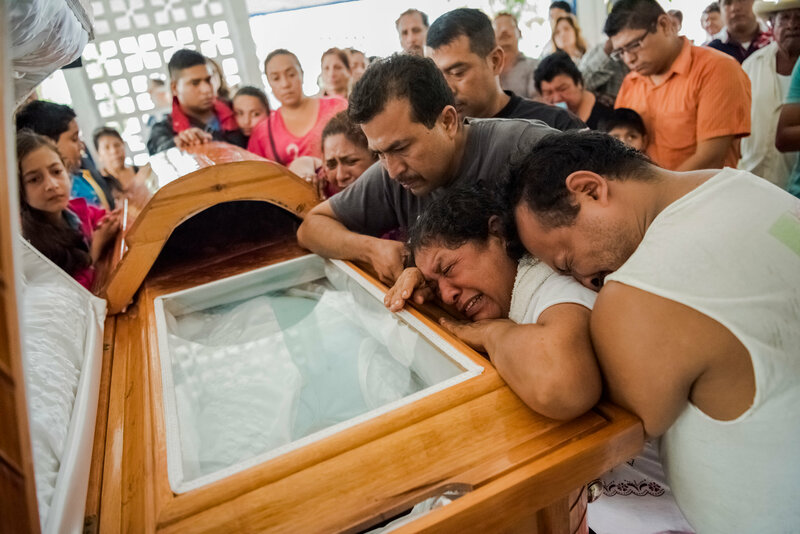 "Last year was one of the most deadly for Mexican reporters in recent history. Even the total number of victims is hard to pin down, thanks to botched investigations and confusion about how many of the dead officially worked as journalists. But most press groups count at least nine slain here in 2016, some as many 16. Reporters Without Borders said Mexico was the third most perilous country in the world for journalists, after Syria and Afghanistan — in other words, the most perilous outside a declared war zone." "Let’s be clear: The moral case against President Trump’s plan to uproot and expel millions of unauthorized immigrants is open-and-shut. But what about the economic cost? This is where deeply shameful collides with truly stupid. The Migration Policy Institute reported in 2013 that the federal government spends more each year on immigration enforcement — through Immigration and Customs Enforcement and the Border Patrol — than on all other federal law enforcement agencies combined. The total has risen to more than $19 billion a year, and more than $306 billion in all since 1986, measured in 2016 dollars. This exceeds the sum of all spending for the Federal Bureau of Investigation; the Drug Enforcement Administration; the Secret Service; the Marshals Service; and the Bureau of Alcohol, Tobacco, Firearms and Explosives. ICE and the Border Patrol already refer more cases for federal prosecution than the entire Justice Department, and the number of people they detain each year (more than 400,000) is greater than the number of inmates being held by the Federal Bureau of Prisons for all other federal crimes. That is blank-check, steroidal enforcement — and Mr. Trump and the Homeland Security secretary, John Kelly, want more." "Last year 7-year-old Kendra Cruz Garcia and her 10-year-old-brother, Roberto Guardado Cruz, crossed the Rio Grande alone. When their tiny boat reached the shore, they started walking into Texas. The Border Patrol agents who soon caught the Salvadoran siblings deemed them ‘unaccompanied’ because no parent was with them. Children with this designation are granted special, well-deserved protections. Continue reading the main story But President Trump has decided to get tough on many of the 60,000 Central American children who arrive at our border each year begging for safety after fleeing some of the most dangerous places on earth. His executive orders, and memos from the Department of Homeland Security on how to interpret them, could strip this special treatment from the roughly 60 percent of unaccompanied children who have a parent already living in the United States. If Kendra and Roberto were just entering the United States now, they would fall into this group; instead they kept their protections and were eventually united with their mother, a house painter in Los Angeles. Last week Mr. Trump’s press secretary said the president’s intention was to prioritize the deportation of immigrants who ‘represent a threat to public safety.’ Supporters say he’s upholding the law. But these children are not threats, and there are many ways to preserve the integrity of our immigration laws while treating them humanely. The report adds to the difficulties the Trump administration has faced in carrying out the travel ban. Federal judges have suspended the order, and the administration has said it will redo it to withstand legal scrutiny, but has not given a timetable. The Department of Homeland Security assessment, first reported by The Associated Press, found that only a small number of people from the seven countries had been involved in terrorism-related activities in the United States since the Syrian civil war began in 2011. In addition, the report noted, while terrorist groups in Iraq, Syria and Yemen pose a threat to the United States, militant groups in the other four countries have a more regional focus. The report also found that in the past six years, the terrorism threat reached much more widely than the seven countries listed — individuals from 26 countries had been ‘inspired’ to carry out attacks in the United States. Furthermore, few individuals from the seven countries affected by the ban have access to the United States, the report said, noting the small numbers of visas granted by the State Department to citizens of those nations." "In Virginia, Immigration and Customs Enforcement agents waited outside a church shelter where undocumented immigrants had gone to stay warm. In Texas and in Colorado, agents went into courthouses, looking for foreigners who had arrived for hearings on other matters. At Kennedy International Airport in New York, passengers arriving after a five-hour flight from San Francisco were asked to show their documents before they were allowed to get off the plane. The Trump administration’s far-reaching plan to arrest and deport vast numbers of undocumented immigrants has been introduced in dramatic fashion over the past month. And much of that task has fallen to thousands of ICE officers who are newly emboldened, newly empowered and already getting to work. Gone are the Obama-era rules that required them to focus only on serious criminals. In Southern California, in one of the first major roundups during the Trump administration, officers detained 161 people with a wide range of felony and misdemeanor convictions, and 10 who had no criminal history at all. Immigrant Mother in Denver Takes Refuge as Risk of Deportation Looms FEB. 15, 2017 ‘Before, we used to be told, ‘You can’t arrest those people,’ and we’d be disciplined for being insubordinate if we did,’ said a 10-year veteran of the agency who took part in the operation. ‘Now those people are priorities again. And there are a lot of them here.’"
"Folks, we have been here before. After Ronald Reagan, a celebrity-turned-politician, carried 49 states in his devastating defeat of Walter Mondale in 1984, Democrats were whining and moaning, shuffling their feet and scratching their heads. Reagan had done particularly well with those who would come to be known as Reagan Democrats — white, working-class voters, particularly in the Rust Belt, whom a New York Times contributor would later describe as ‘blue-collar, ethnic voters,’ who were drawn to Reagan’s messages of economic growth and nationalistic pride. But just like Donald Trump’s path to victory, Reagan’s was strewn with racial hostilities and prejudicial lies. While Trump’s tropes involved Mexicans and Muslims and that tired euphemism of disastrous inner cities, Reagan used the ‘welfare queen’ scare, as far back as his unsuccessful bid for president in 1976. But it was not as it seemed. So, then as now, economic anxiety and throbbing xenophobia were convenient shields behind which brewing racial animus could hide. Indeed, Trump’s slogan ‘Make American Great Again’ was first used by Reagan. And yet, Democrats in 1984 were quick to look for the lessons they could learn on how to reach out to the Reagan coalition, instead of condemning it. ‘Democratic Party leaders began yesterday what they foresee as a long and agonizing appraisal of how they can renew their appeal to the white majority in presidential elections and still hold the allegiance of minorities, the poor and others who seek federal assistance.’"
"WASHINGTON — President Trump turned the power of the White House against the news media on Friday, escalating his attacks on journalists as ‘the enemy of the people’ and berating members of his own F.B.I. as ‘leakers’ who he said were putting the nation at risk. In a speech to the Conservative Political Action Conference, Mr. Trump criticized as ‘fake news’ organizations that publish anonymously sourced reports that reflect poorly on him. And in a series of Twitter posts, he assailed the F.B.I. as a dangerously porous agency, condemning unauthorized revelations of classified information from within its ranks and calling for an immediate hunt for leakers. Hours after the speech, as if to demonstrate Mr. Trump’s determination to punish reporters whose coverage he dislikes, Sean Spicer, the White House press secretary, barred journalists from The New York Times and several other news organizations from attending his daily briefing, a highly unusual breach of relations between the White House and its press corps." "The Affordable Care Act sacrificed affordability in order to get more people insured. Prohibiting companies from denying people insurance because of pre-existing conditions, for example, opened up access to everyone, but it also made insurance more expensive for people who were healthy. Similarly, requiring insurers to offer a comprehensive set of benefits meant that low-cost plans offering only catastrophic coverage were no longer allowed for most people, which meant higher premiums for everyone. President Trump has promised to insure more people at a lower price, but it’s not clear how he could make that happen. Now, Republicans who have promised for years to repeal and replace the ACA are tasked with balancing winners and losers, coverage and cost. GOP House members outlined their replacement plan last week. Here’s a look at how the main policy proposals would shake out against the current system. 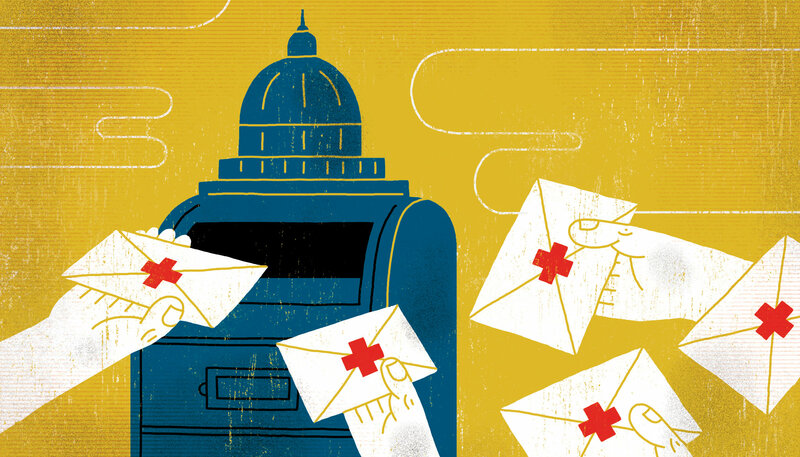 Underlying the tradeoffs of any health policy is the world’s most expensive medical system. Until we do something about the high cost of care overall, someone has to pay, whether it’s the federal government with tax dollars, companies or individuals. But just a sliver of the population is responsible for the majority of health care spending in the U.S., and figuring out how to pay for the most costly patients is one of the biggest challenges in health care policy. Before the ACA, many states had high-risk pools: state-run programs for people with serious medical needs who couldn’t get health insurance elsewhere. Most enrollees had been turned down for coverage by insurance companies because of pre-existing health conditions and didn’t have an employer-sponsored plan. In 2007, 34 states had pools that spent more than $1.8 billion on the 201,000 people enrolled in these programs, which did little to reduce the overall uninsured rate but were life changing for many of the people they did cover. "Amazon says the First Amendment protects your conversations with Alexa. The legal filing addresses a warrant obtained by Benton County, Arkansas, investigators for any recordings gathered by an Alexa-powered Echo device that was in the home of a homicide suspect in 2015. Investigators say the recordings could provide clues to help them investigate the death of Victor Collins, who was found dead in the hot tub of James Bates in Bentonville. Bates has been charged with first-degree murder and released on bail." "...Jewish cemeteries are a reminder of Jewish death, and Jewish death means the Holocaust, a genocide still unprecedented in scope and scale. The bigoted, racist, anti-Semitic, Islamophobic, white supremacist far right knows this. (Their wanna-be “alt” signifier can go to hell.) Whoever committed the acts of vandalism in the Chesed Shel Emet cemetery, they knew that defiling a cemetery is a particularly loathsome act, and defiling the graves of dead Jews, many of whom were surely Holocaust refugees or survivors, has a very particular resonance. This is also why, after calling out white supremacy last Spring and being promoted for doing so by the Daily Stormer, I received hundreds of tweets with pictures of me in a gas chamber, me wearing a Jude star, my head on the body of a rat. And why, despite myself, they actually hurt..."
"The 26-year-old undocumented woman was in a detention center in Texas when she started complaining of headaches earlier this month. She told an immigration judge on Jan. 12, 2016, that she actually did come to the U.S. from her native El Salvador seeking asylum, and that she feared her aunt — who she said is gang-affiliated — would kill her because she was in a relationship with a Salvadoran police officer. 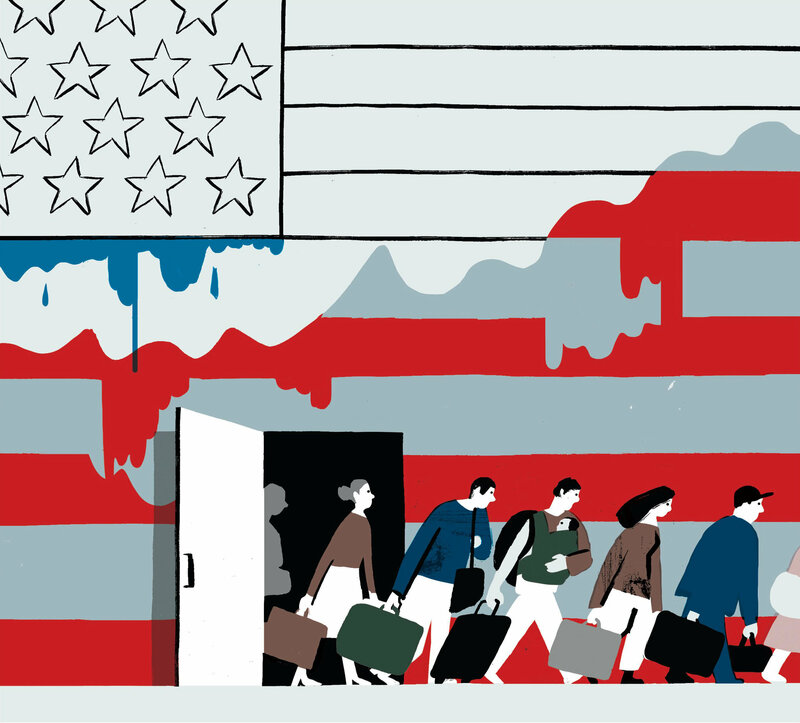 But Sara missed the deadline to file her asylum claim, so the judge ordered her deportation. Her legal team, which began working with her after she missed that deadline and acknowledges that it was missed, appealed. She has been in detention since then." Relevant Case law setting guideline limits to ICE searches an seizures of undocumented aliens. "During a nationwide operation this month by Immigration and Customs Enforcement, a team of ICE agents in Los Angeles approached the house of a man targeted for deportation. “Good morning, police,” one agent announced in the pre-dawn darkness. A man opened the door moments later. “Good morning, how you doing? I’m a police officer. We’re doing an investigation,” the agent said. The exchange, captured on a video released publicly by ICE, seemed routine. But it has reignited long-simmering objections from immigrant rights attorneys and advocates, who say the scene illustrates unethical — and in some cases, illegal — ruses ICE agents have used for years, portraying themselves as officers from local police departments to ensnare people or fool them into revealing the whereabouts of family members. The use of the tactic, critics said, is particularly egregious in heavily immigrant cities such as Los Angeles and San Francisco, where police and elected officials have tried for decades to distinguish their cops from federal immigration agents, in an effort to convince immigrants living illegally in their cities that they can interact with local police without fear of deportation. The practice of using ruses predates the Trump administration. But the president’s announcement of his intent to dramatically increase the number of people ICE apprehends for deportation has increased concerns by immigrant advocates that the tactic will grow even more prevalent. “There is something fundamentally unfair about ICE exploiting local and state policies that are trying to improve public safety by promoting immigrants’ trust in law enforcement,” said Frances Miriam Kreimer, senior attorney at Dolores Street Community Services in San Francisco. Kreimer is challenging the legality of a ruse ICE officers used to arrest a client, in which they told the man they were police officers investigating a crime. 'I’m not going to do it.' Police aren't eager to help Trump enforce immigration laws'I’m not going to do it.' Police aren't eager to help Trump enforce immigration laws"
It's legal for an immigration agent to pretend to be a police officer outside someone's door. But should it be? - LA Times: ""
(Bangkok) – A Malaysian court’s conviction of rights activist Lena Hendry for her role in showing a documentary film violates her right to freedom of expression, Human Rights Watch said today. On February 21, 2017, a Kuala Lumpur court found Hendry guilty of organizing a private screening of the award-winning human rights documentary, “No Fire Zone: The Killing Fields of Sri Lanka,” without censorship board approval nearly four years ago. She will be sentenced on March 22, and faces fines and up to three years in prison. Pusat KOMAS staff member Lena Hendry. 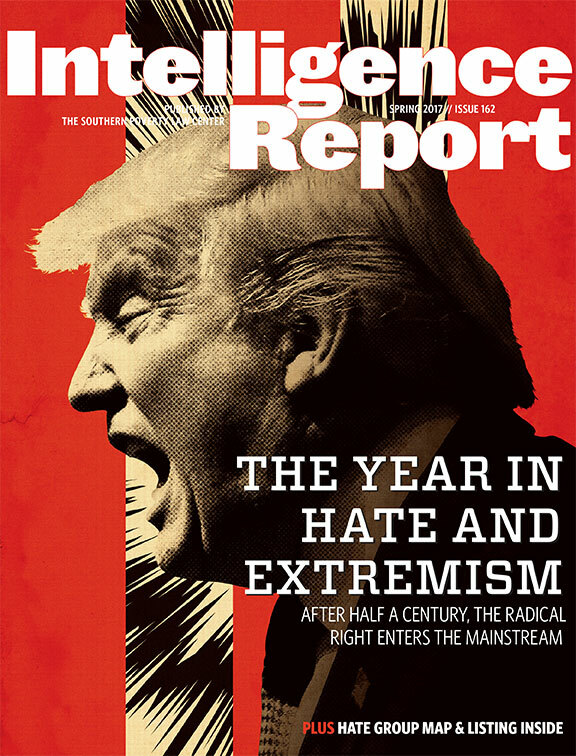 "The number of hate groups in the United States rose for a second year in a row in 2016 as the radical right was energized by the candidacy of Donald Trump, according to the Southern Poverty Law Center’s (SPLC) annual census of hate groups and other extremist organizations, released today." "The Nashville Jewish Community Center has now gotten so many telephone bomb threats that the dates run together, said Leslie Sax, the executive director. The first call came on January 9, when Nashville was one of the first 15 JCCs to get threats. The next call was January 18, accompanying yet another national wave. The latest was just this weekend, on Presidents’ Day, when 11 JCCs around the country were threatened, according to a spokesperson for the national organization. The Nashville facility, more full than usual with people exercising on the holiday weekend, was evacuated before security gave the all-clear. “Most people just feel sadness—they’re sad that this is happening,” Sax said. “Everyone keeps saying they’re disheartened and frustrated.” But even though people are upset, they don’t seem to be scared. “I haven’t heard fear,” she said." "WASHINGTON — The Department of Homeland Security on Tuesday released a set of documents translating President Trump’s executive orders on immigration and border security into policy, bringing a major shift in the way the agency enforces the nation’s immigration laws. The policy also calls for an expansion of expedited removals, allowing Border Patrol and Immigration and Customs Enforcement agents to deport more people immediately. Under the Obama administration, expedited removal was used only within 100 miles of the border for people who had been in the country no more than 14 days. Now it will include those who have been in the country for up to two years, and located anywhere in the nation. In the so-called guidance documents released on Tuesday, the department is directed to begin the process of hiring 10,000 new immigration and customs agents, expanding the number of detention facilities and creating an office within Immigration and Customs Enforcement to help families of those killed by undocumented immigrants. Mr. Trump had some of those relatives address his rallies in the campaign, and several were present when he signed an executive order on immigration last month at the Department of Homeland Security. The directives would also instruct Immigration and Customs Enforcement, as well as Customs and Border Protection, the parent agency of the Border Patrol, to begin reviving a program that recruits local police officers and sheriff’s deputies to help with deportation, effectively making them de facto immigration agents. The effort, called the 287(g) program, was scaled back during the Obama administration. Senior Homeland Security officials told reporters Tuesday morning that the directives were intended to more fully make use of the enforcement tools that Congress has already given to the department to crack down on illegal immigration. The officials, speaking on the condition of anonymity during a morning conference call, emphasized that some of the proposals for increased enforcement would roll out slowly as the department finalizes the logistics and legal rules for more aggressive action. In particular, the officials said that returning Central American refugees to Mexico to await hearings would be done only in a limited fashion, and only after discussions with the government of Mexico, which would most likely have to agree to accept the refugees. The officials also made clear that nothing in the directives would change the program known as Deferred Action for Childhood Arrivals, which provides work permits and deportation protection for the young people commonly referred to as Dreamers. But the officials also made clear that the department intended to aggressively follow Mr. Trump’s promise that immigration laws be enforced to the maximum extent possible, marking a significant departure from the procedures in place under President Barack Obama. New Trump Deportation Rules Allow Far More Expulsions - The New York Times: ""
"Uber will launch an internal investigation on sexual harassment after a former engineer wrote about her year working at the company. In a Sunday blog post, former Uber engineer Susan Fowler alleged many women in the company were sexually harassed by other employees and complaints were dismissed by HR. Her chief claim was that one manager had inappropriately sexually propositioned many women, but Uber management repeatedly "refused" to punish him as he was a "high performer." Uber CEO Travis Kalanick tweeted a response, saying an investigation would be launched." "In a half-baked policy paper released on Thursday, the House speaker, Paul Ryan, trotted out washed-up ideas for “improving” the country’s health care system that would do anything but. For example, the paper calls for reducing spending on Medicaid, which now provides insurance to more than 74 million poor, disabled and older people. Many millions of them would be cast out of the program. The Republican plan would also force most people who don’t get their health insurance through an employer to pay more by slashing subsidies that the A.C.A., or Obamacare, now provides. The proposal would allow families to sock away more money in health savings accounts, which may sound good at first but would primarily benefit affluent people who can afford to save more. "A week before Michael T. Flynn resigned as national security adviser, a sealed proposal was hand-delivered to his office, outlining a way for President Trump to lift sanctions against Russia. Mr. Trump has confounded Democrats and Republicans alike with his repeated praise for the Russian president, Vladimir V. Putin, and his desire to forge an American-Russian alliance. While there is nothing illegal about such unofficial efforts, a proposal that seems to tip toward Russian interests may set off alarms." 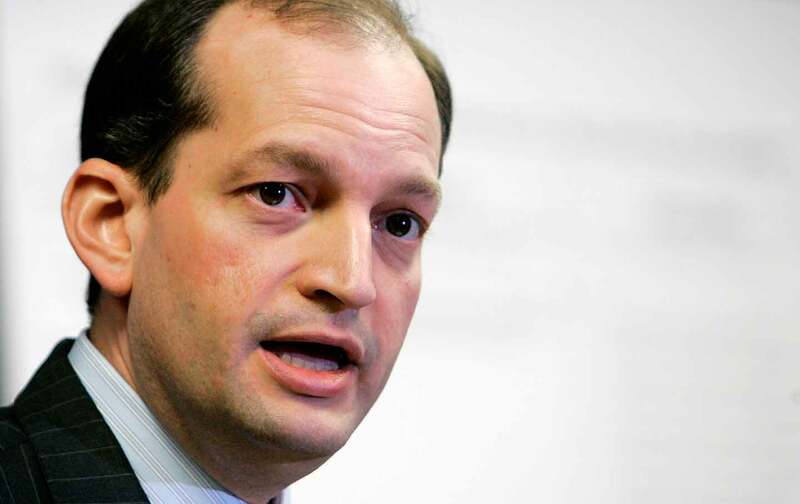 "﻿ Alexander Acosta was once accused of undermining the Justice Department’s Civil Rights Division. Now he could become secretary of labor." "Americans have been watching the Trump administration unfold for almost a month now, in all its malevolent incompetence. From morning tweets to daytime news to late-night comedy, many watch and fret and mock, and then sleep, sometimes fitfully. This is not an abstract or fanciful depiction. It is not fake news. 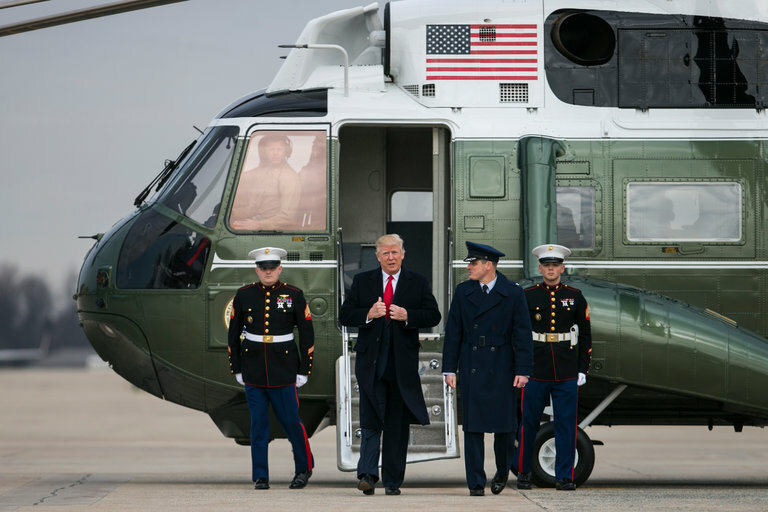 It’s the United States of today, this month, this morning..."
"A lot of people seem to be questioning President Trump’s mental health. This month, Representative Ted Lieu, a California Democrat, went so far as to say he was considering proposing legislation that would require a White House psychiatrist. "MELBOURNE, Fla. — During President Trump’s transition to power, his team reached out to Elliott Abrams for help building a new administration. 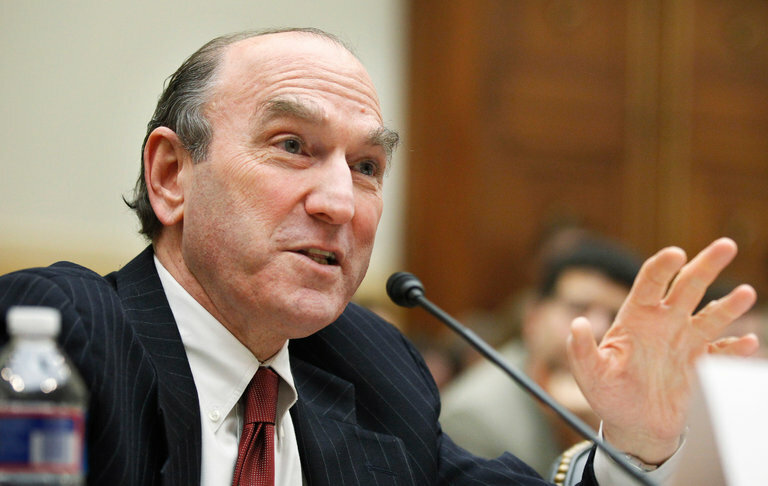 Mr. Abrams, a seasoned Republican foreign policy official, sent lists of possible candidates for national security jobs. One by one, the answer from the Trump team came back no. The reason was consistent: This one had said disparaging things about Mr. Trump during the campaign; that one had signed a letter opposing him. Finally, the White House asked Mr. Abrams himself to meet with the president about becoming deputy secretary of state, only to have the same thing happen — vetoed because of past criticism. 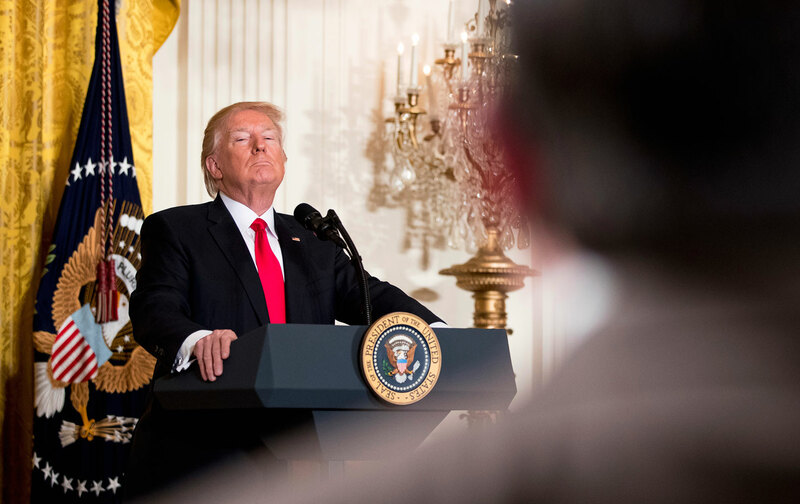 It was an unusual press conference, hastily organised after President Donald Trump apparently told his staff that he wanted to address reporters. The exchanges were ferocious, mainly attacking the media, whose dishonesty, he said, was out of control. It included the moment when he told an African-American journalist to set up a meeting between him and a group of black lawmakers, suggesting that they knew each other. It started when April Ryan asked the president about including the Congressional Black Caucus in discussions about issues related to the African-American community. Ms Ryan, who is White House correspondent and Washington bureau chief for American Urban Radio Networks, first used the group's acronym CBC, but Mr Trump apparently did not recognise it. "The resignation of national security adviser Michael Flynn raises deep, unresolved questions about President Donald Trump's relationship with Russia and whether America's longtime adversary tried to tilt the election in his favor. The leap from Flynn's actions to some broader conspiracy remains huge. But the lingering concerns could develop into a legal minefield for the White House, as congressional inquiries unfold and calls mount for an independent criminal probe, lawyers and scholars say. Michael Flynn Jim Lo Scalzo / EPA Other officials from the Trump campaign or White House could potentially be swept into the scandal, which has fed suspicions of Trump's relationship with Russian President Vladimir Putin, his business ties with Russia and reports of Russian hackers' leaking information that damaged Trump's rival, Hillary Clinton. 'The problem isn't what already has happened. It's what will happen now, as the Senate investigations ramp up,' said Stan Brand, a former general counsel to the House of Representatives who has represented high-profile government officials in public corruption cases." "Donald Trump said Thursday that his victory in the 2016 election was "the biggest electoral college win since Ronald Reagan." It's a claim that Trump has repeated numerous times since November. And by any measure, it is flatly and demonstrably false. Trump officially received 304 electoral college votes when all the counting was over; he would have notched 306 from his performance on Election Day, but two "faithless" electors did not vote for him when the Electoral College met in December. In comparison, in 2012, Barack Obama received 332 electoral votes. And that was significantly less than Obama's 2008 showing, when he won 365 electoral votes. Trump's 304 total does not even mark the highest tally for just a Republican presidential candidate since the Reagan era. Republican George H.W. Bush won 426 electoral votes in 1988. In fact, since Nixon's election in 1972, only two presidents - George W. Bush and Jimmy Carter - have received fewer electoral votes than Trump in a general election. Presented with that set of facts during his Thursday press conference, Trump demurred, saying only that he "was given" the data citing his historic victory. "I don't know, I was given that information. I actually, I've seen that information around," he told NBC News. "But it was a very substantial victory, do you agree with that?" Trump: 'I Was Given The Information' on Incorrect Electoral College Margin - NBC News: ""
Then in October, an hour after the release of the ‘Access Hollywood’ tapes of Trump boasting about sexually assaulting women, WikiLeaks began to dump the Clinton campaign chairman John Podesta’s hacked emails on the internet. Coincidence? Maybe. But that would be one hell of a coincidence, considering all the other reinforcing ‘coincidences’: Trump’s inexplicable, inexhaustible praise of Russia and Vladimir Putin; Putin’s failure to respond to Obama’s sanctions; an explosive report last week from CNN that read: ‘For the first time, U.S. investigators say they have corroborated some of the communications detailed in a 35-page dossier compiled by a former British intelligence agent.’"
Look, there’s a great deal we don’t know, but Russian interference in our election is potentially a bigger scandal than Watergate ever was. Watergate didn’t change an election’s result — President Richard Nixon would have won anyway in 1972 — while the 2016 election was close enough that Russian interference might have tipped the balance. First, the American intelligence community agrees that the Kremlin interfered during the campaign in an attempt to help Donald Trump. This isn’t a single agency’s conclusion, but reportedly a “strong consensus” among the C.I.A., the F.B.I. and the director of national intelligence. The Trump Administration is imploding. The level of fear and mistrust is so high that open war has broken out between the intelligence...Paul W. Case Sr. Well stated, but this goes even deeper. Since intelligence agencies were aware of these contacts during the campaign, Comey must have been...stone 1 hour agoI believe Trump did not win because the Russians tried to influence the election.Trump did not win the election.He lost.He won where it. Second, the dossier prepared by a former MI6 Russia expert outlines collusion between the Trump campaign and Russia. CNN reports that American intelligence has communications intercepts corroborating elements of the dossier, and the latest revelation of repeated and constant contacts between the Kremlin and the Trump campaign give additional weight to the dossier’s allegations — although it’s also important to note that officials told The Times that they had seen no evidence of such cooperation in election manipulation. Fourth, Flynn, before taking office, discussed Obama administration sanctions on Russia with the Russian ambassador. Flynn has now resigned, but he was steeped in the principle of a chain of command; I doubt he made these calls completely on his own. Daniel Benjamin, a former counterterrorism coordinator at the State Department who has known Flynn for years, says it would have been out of character for Flynn to do so. So who told Flynn to make these calls? Steve Bannon? Trump himself? We’re back to our question: What did the president know, and when did he know it? The White House hasn’t responded to my inquiries, and Trump lashes out wildly at “the fake news media” without answering questions. He reminds me of Nixon, who in 1974 said Watergate “would have been a blip” if it weren’t for journalists “who hate my guts.” Soon afterward, Nixon resigned. Trump supporters say that the real scandal here is leaks that make the administration look bad. A bit hypocritical? It’s dizzying to see a president who celebrated the hacking of his rival’s campaign emails suddenly evince alarm about leaks. Sure, leaks are always a concern, but they pale beside the larger issues of the integrity of our leaders and our elections. Published reports have quoted people in the intelligence community as fearing that information given to the White House will end up in Russian hands, even that the “Kremlin has ears” in the White House Situation Room. I referred to Trump last year as “the Russian poodle,” and we’ve known for years of Trump’s financial ties to Russia, with his son Donald Jr. saying in 2008, “We see a lot of money pouring in from Russia.” It’s all the more important now that Trump release his tax returns so that we can understand any financial leverage Russia has over him. Yet the same Republicans who oversaw eight investigations of Benghazi shrug at far greater concerns involving Trump and Russia. I’m just appalled at how little people seem to care about the fact that Russians interfered in our presidential election, clearly, unequivocally, on the part of one candidate,” Michael McFaul, a former ambassador to Russia, told me. “What’s more important than that?” To which I add: Only one thing could be more important — if the Russians had help from within the U.S.
What Did Trump Know, and When Did He Know It? - The New York Times: ""
"In history, this is where Congress steps in. During the Vietnam War, Watergate and the Iran-contra scandal, when a president’s actions or policies crossed the line, Congress investigated and held the White House to account. The time has come for it to do so again. Hence the urgent need for high-level congressional intervention. The ideal vehicle would be an investigative committee of senior senators from both parties as well as members of the House. Some Senate Republicans are beginning to step up. Senator Richard Burr, chairman of the Senate Intelligence Committee, has already said his committee will investigate the election hacking. Chuck Grassley, chairman of the Senate Judiciary Committee, and Dianne Feinstein, the panel’s top-ranking Democrat, are asking for a briefing and transcripts of Mr. Flynn’s calls to the Russian ambassador. Senators John McCain, Lindsey Graham and Pat Roberts favor a broader investigation. John Cornyn, the Senate majority whip, has also raised the possibility of an investigation by Senate committees with jurisdiction over the intelligence community. 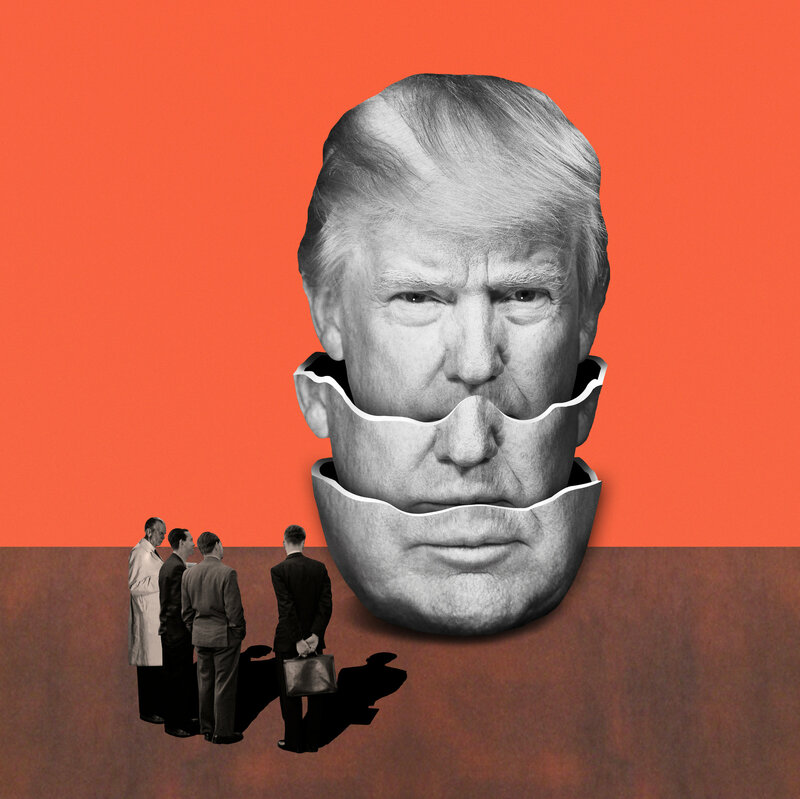 With or without the administration’s cooperation, Congress’s plain and urgent duty, lest it be judged complicit, is to get to the bottom of this crisis." Stephen Miller, another bigoted Trump aide.